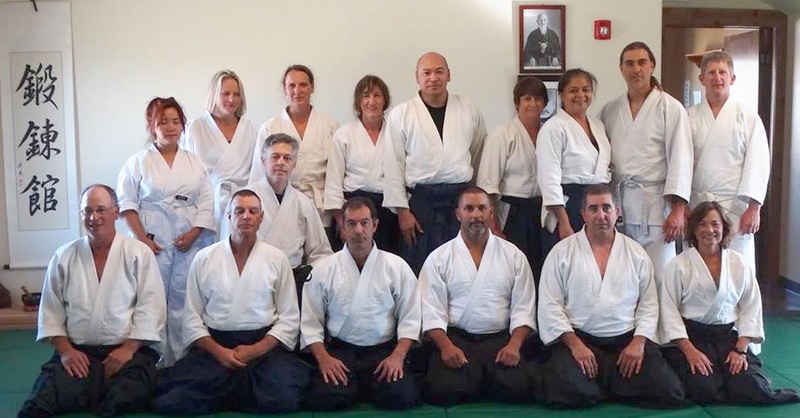 On August 26, Summit Aikikai hosted their inaugural Late Summer Seminar with guest instructors Ed Hernandez, 3rd dan, and Todd Fessenden, 3rd dan. Keeping with a weekend of firsts, it was Ed and Todd’s first seminar. 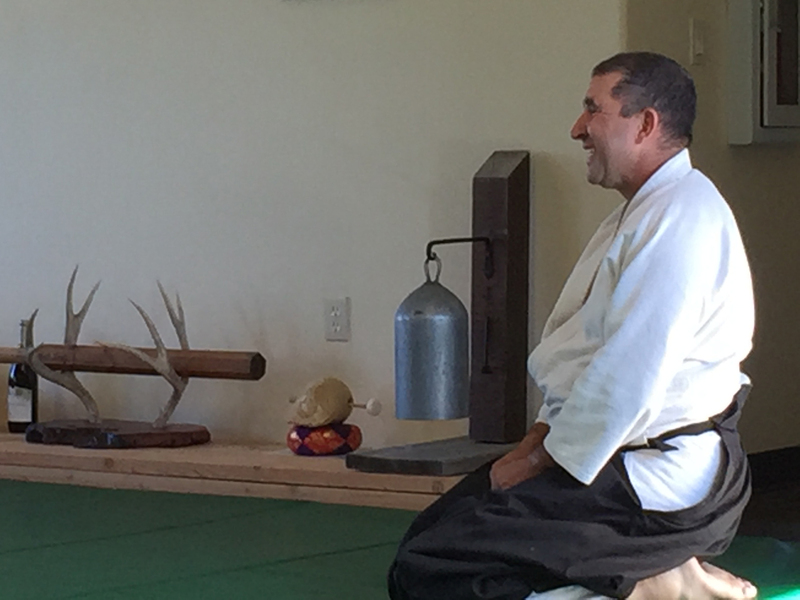 The president of Birankai North America, Alex Peterson, 6th dan, Chief Instructor of Summit Aikikai, lead the charge of the directive sent from the teacher’s council, to get more young teachers out into the larger community, sharing their wealth of knowledge. 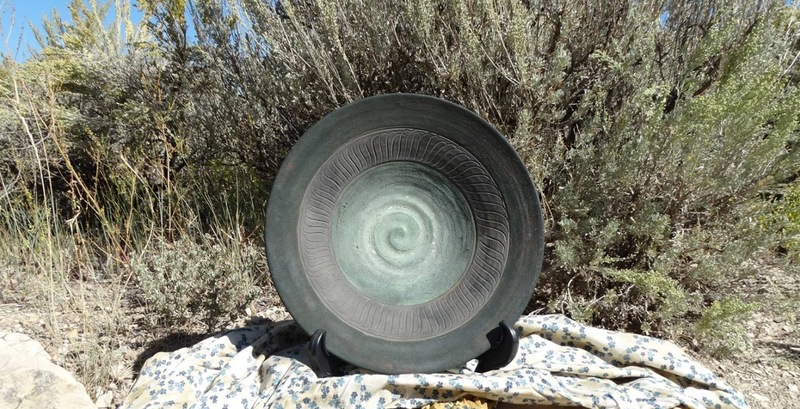 Answering the call to Park City were aikidoka from Utah, Nevada, Colorado, Arizona, California, Wyoming and Oregon. With a mix of out-the-box beginners to a Shihan, it seemed everyone checked their ego at the door and donned the cloak of sincerity. The event kicked off Friday with Hernadez Sensei humbly proclaiming that this was his “first gig,” then joyfully shook off our travel weariness by leading us through a number of high energy techniques. Spirit was high, smiles were abundant, sweat was profuse. A number of us sea-level folk wilted minutes into the class due to the altitude, but determiningly persevered. Is there no oxygen in Park City? Saturday morning brought Fessenden Sensei into the mix with his precision-sharp weapons. Using the 8-count suburi in partner practice, he drew us into his personal exploration of the hip turn ending and the extension which necessitates it. The afternoon practice started off with an introduction to the Russian martial art, Systema, by Mark Zamarin. 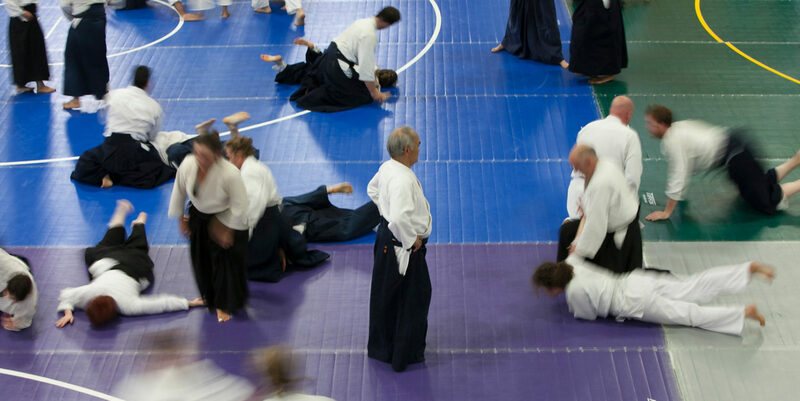 With a focus on breathing, relaxation, and development of intuition/sixth-sense, and using the opponent’s energy against him, it was easy to see Systema’s relationship to the deeper levels of aikido. After all that relaxation, Hernandez Sensei, used yokomen attacks to keep us responsive and connected. Fessenden Sensei followed up with the 12 kesa jyo basics, again with an emphasis on hip turn and getting off the line. The perfect ending to such a day was a picnic and frigid dip in Rockport Reservoir Lake. We perched like mountain goats on the side of a rocky bluff watching the watersports and our friends swimming. As the sun went down and we bundled up, Elizabeth entertained us with guitar and folk songs. After Sunday’s classes, Dennis Belt Shihan presented Alex Sensei with the Biran Bowl, the “gift from heaven” that inspired Chiba Sensei to name our organization Birankai. It was a humbling moment to see this exchange. I know this symbol is in good hands, in a dojo with a Chief Instructor who keeps the legacy of Chiba Sensei’s aikido protected and alive. After the seminar, our generous host, Alex Sensei took us to one of his favorite rock climbing places where he introduced us to top-roping. It was my first experience rock climbing and to say I was filled with trepidation is an understatement. However, safe in my harness and with Alex’s brother-in-law, David Friend, on belay, I felt secure and made it as high as my weary muscles would allow. Much higher than the climbing gym! As my experienced climber fiancé says, “Be scared…. and do it anyway.” Cindy Moore also took on the challenge, calmly climbing until called down so that we could catch our flight. I feel honored to have experienced Todd and Ed’s first seminar. Their commitment and sincerity left me inspired and determined to forge on. Alex Peterson is a thoughtful and generous host. Walking into his dojo is a cross between walking into a church and your own living room, equally deferential and welcoming. With a dojo named “Summit,” you are expected to reach great heights. Under his guidance it is certainly attainable. I would encourage all to give his next seminar a try. You never know what adventure he will entice you into.